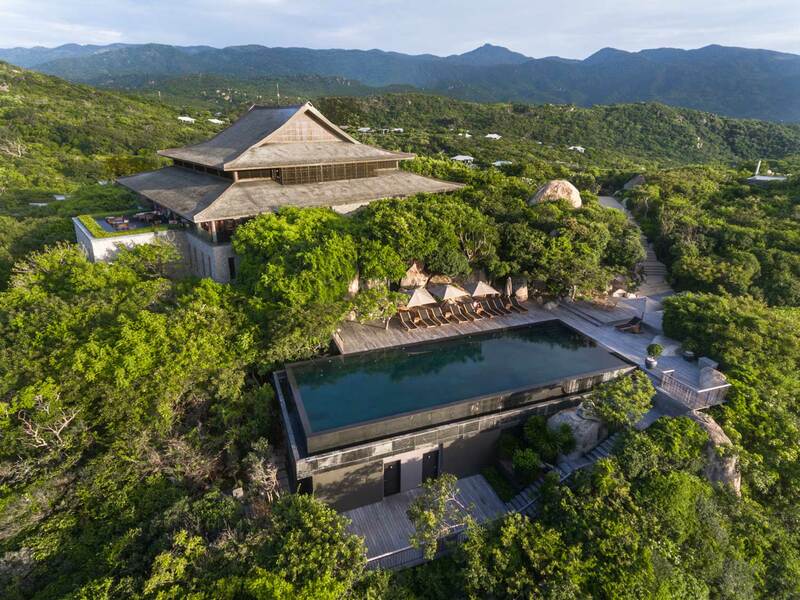 Nestled above the craggy coastline that is Vinh Hy Bay and surrounded by the lush and verdant greenery of the Nui Chua National Park in the south-central coast of Vietnam, lies a retreat which very essence is one that is rooted in peace and tranquillity. 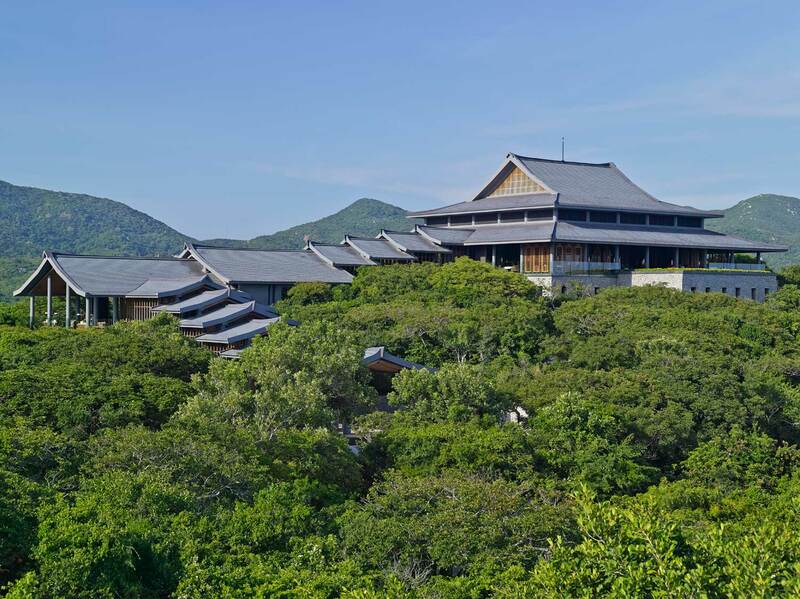 Amanoi which means the peaceful place in Sanskrit and Vietnamese is part of the Aman Resorts, a luxury hotel group with 31 properties in 20 countries. 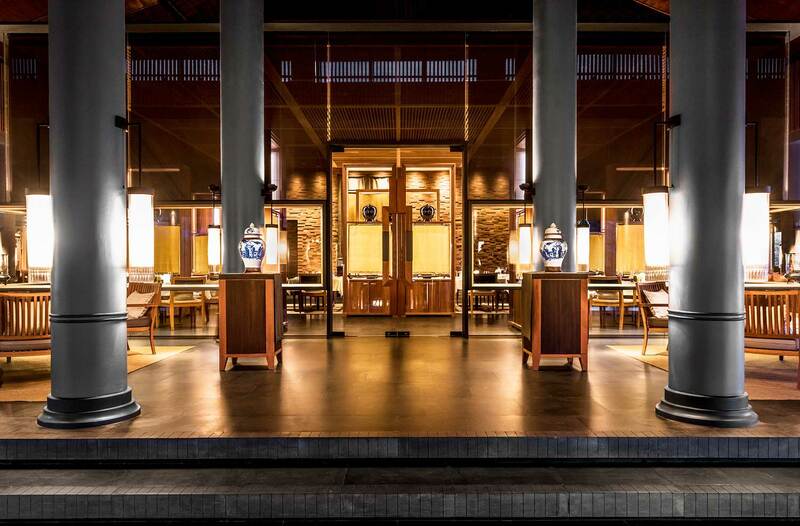 With an almost cult-like following who proudly call themselves ‘Aman junkies’ the Aman Resorts’ spare and Zen-like aesthetics, its high staff-to-guest ratio and its impeccable service have cultivated fans or junkies as they would like to be called from all corners of the globe who make pilgrimages to these temples of luxury. 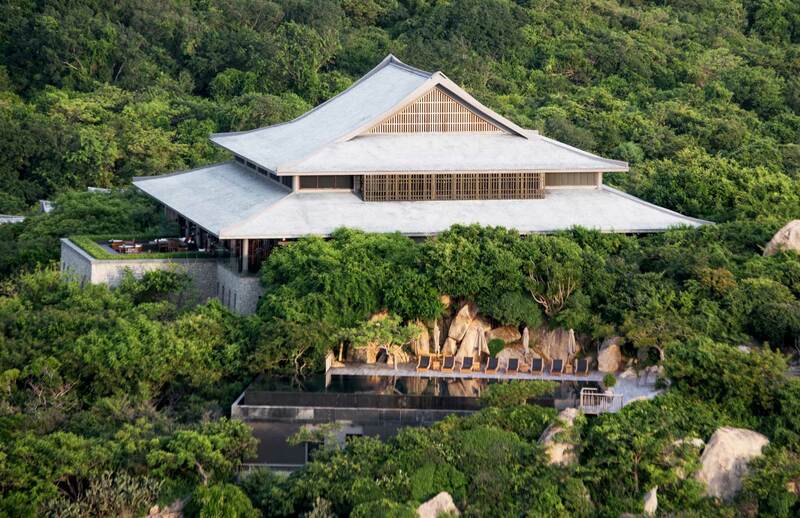 Opened in 2013, Amanoi is the latest addition to the Aman Resorts growing list of must-visit destinations. Designed by maestro architect Jean-Michel Gathy, Amanoi exudes serenity with a soothing ambience. This masterpiece created by Gathy is a play of subtlety and the dramatic, a visual tension which is assuaged by the use of symmetry, most evident in its awe-inspiring lobby. Arriving at this sybaritic resort, we are greeted by the General Manager himself, Nicolas Pillet. Urbane and articulate, the Frenchman is the very definition of the consummate host, welcoming our party with warmth and charm. 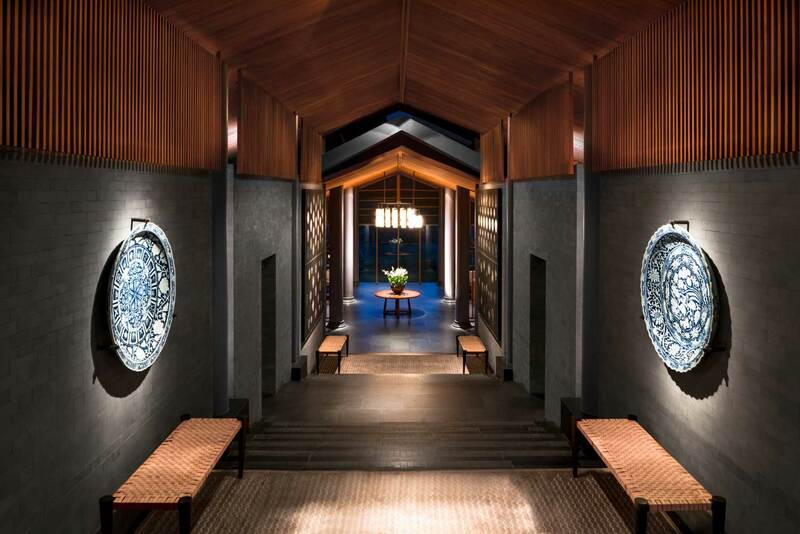 Ascending the broad flight of grey granite stairs lined with columns on either side to reach the lobby located in the Central Pavilion, it’s a spectacular way to make an entrance and it certainly creates a very good first impression of the resort. Forgoing checking in at the lobby and doing it in the privacy of your own villa instead, my Mountain Pool Villa had its very own 27 square-meter private pool complete with a timber sun deck. With views of a placid lake right in front, it was the ideal vista to wake and indulge in a few minutes of meditation while the sun rises over the hills in the distance.